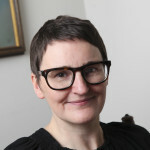 Inverness-based author Barbara Henderson considers how her long-standing obsession with book festivals (she’s not missed an Edinburgh International Book Festival in a decade) led her to found the inaugural NessBookFest in 2016, which will return for a second year in October. The dates of the Edinburgh International Book Festival, that’s what! Book festivals are my thing, you see. Even though I live in Inverness, I’ve not missed an Edinburgh International Book Festival in a decade—apart from the one where I had a vomiting bug and had to let the rest of my family depart without me, void train ticket in hand. It turns out there were many who felt the same. We pondered, discussed, met and formed a committee. But alongside becoming the chairperson of a book festival committee, something else had changed in my life. Something drastic: After many years of nearlys and almosts, I had become a published writer. My Highland Clearances children’s novel Fir for Luck was published by Cranachan in September 2016. 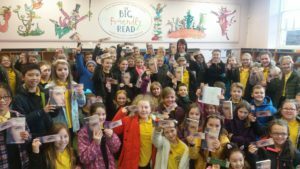 Now I really, really wanted Inverness to have a book festival! 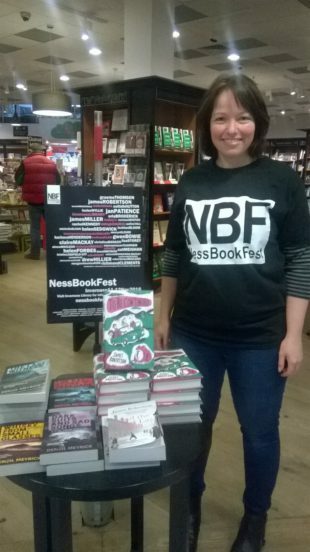 The first NessBookFest in November 2016 was a resounding success, considering we had put it together in about eight weeks flat. Most of the committee mucked in, performing and chairing events, as funding was by no means guaranteed. My very first (unpaid!) appearance at a book festival took place in a library children’s section with two school classes packed in, in the midst of a crazy day, running from venue to venue, introducing, thanking, greeting and tweeting in my role as chairperson of the same. This year will be different. As volunteers, we will not feature committee members on the programme, and the committee have learned valuable lessons about what works and what doesn’t. But while my NessBookFest role will be very much that of an organiser, I have been asked to appear as an author at Nairn Book & Arts Festival as well as Islay Book Festival, both in September. Excitingly, Fir for Luck will also be available to buy at EIBF. This is a three-fold dream come true. I received my author’s questionnaire from Islay Book Festival. Hmmm, I thought. How handy, to have all that information in one folder, all images attached, all biographies pre-drafted in one place. Great idea! I contacted the chairperson to beg for permission to adapt the format, and days later a remarkably similar document winged its way into the inboxes of this year’s NessBookFest performers. How very professional that looked! I am very excited about Nairn, as the festival’s writing competition was my very first competition win, back in 2012. Recently, I was contacted about participating in their Taster Day, raising awareness of the main festival, weeks later. Wow, why didn’t I think of that? This year, NessBookFest, too, will have some warm-up events. Fantastic idea! And how has being a festival volunteer aided me as a performer? As chairperson, frantically dashing from event to event, I have seen so many varying styles of spoken word performance. I loved this, I wasn’t sure about that; but all of it certainly opened my eyes about what may be possible—and made me think about what approach best for my personality, with my strengths and weaknesses—and for my book. I feel immensely lucky to be on both sides of the fence this year – the book festival world is comparatively small, but we all want each other to succeed. After all, all of us, as authors and organisers, strive to connect people with books, to help others discover the treasure we have found in stories, to marvel at the magic of black marks on white paper. As a debut author, I can still barely believe that Fir for Luck is now part of that magic; that it has struck such a chord with readers and reviewers and that I should even be considered to take part. Hey, everybody! I’m appearing at book festivals this year. Book festivals are my thing, you see? Barbara Henderson‘s debut novel Fir For Luck is out now published by Cranachan Publishing priced £6.99. She has events at Nairn Book Festival and Islay Book Festival. 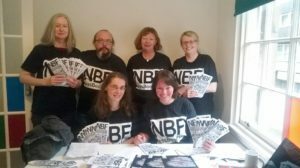 NessBookFest returns for a second year in October 2017.